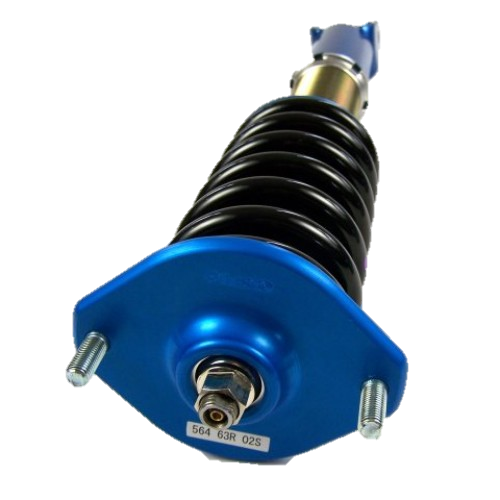 We are pleased to announce that we now supply a range of Cusco products, from coilovers to roll cages. All designed to improve your car’s control and its overall safety. Cusco suspension products are developed and tested on the race track, where conditions are at their most extreme, in order to ensure a high-quality product that is capable of handling anything. Cusco are a jack-of-all-trades manufacturer when it comes to performance car comfort and safety. Their range may vary in products, but they all share a focus on quality and safety. Get some safety and comfort to go with your speed and performance, and have a look at what we’re offering. This quest for comfort is an on-going objective of Cusco, and it really shows in their excellent coilover suspension systems, which offer a better ride and better handling for your car. Cusco, from the get-go, are passionate about the driving experience and benefits that their products offer. They have a heartfelt belief in the power of manufacturers in improving the lives of everyone in society. These are noble ambitions and absolutely ones that we at Tarmac Sportz can get on-board with. They are also passionate about quality and manufacturing discipline. They listen closely to customers and clients’ opinions, and they continually test and develop their products and techniques. This ensures that their components are always improving in quality and safety. Cusco has a history of involvement with rallying, dirt trials and gymkhana, racing sports which require perfect control and water tight safety - two areas in which Cusco are masters. Cusco manufacture all sorts of high-quality parts that are guaranteed to improve your car in a number of ways. For better handling, get a Power Brace, designed to strengthen your chassis and minimise body flex when cornering, allowing your suspension to work at its best. Also, an Anti-Sway Bar will massively reduce body roll potential, keeping your car firmly on the ground, where it corners best. For a better ride, Cusco offer an unbeatable range of coilover suspension systems. These systems let you adjust the hardness, depending on what you require most - comfort or handling. Enhanced adaptability and handling will let you do even more with your car. A variety of prices means that no matter the size of your wallet, you’ll be able to get top-quality suspension for your car. For the ultimate in safety, get a Cusco roll cage. These are designed to keep you safe if you end up rolling your car over doing something a bit stupid. Perfect for track racing and made from strong and lightweight chromoly, so you’ll have protection with little impact on your performance. Cusco make such great safety and comfort products and we’re sure you’ll be able to find the components that are perfect for you and your car. Have a browse of our catalogue and get ready for a more responsive and safer drive.